Ensuring your air conditioning system runs at peak efficiency is necessary to keep your home comfortable year-round. Proper maintenance is the best way to guarantee your system works when you need it most. 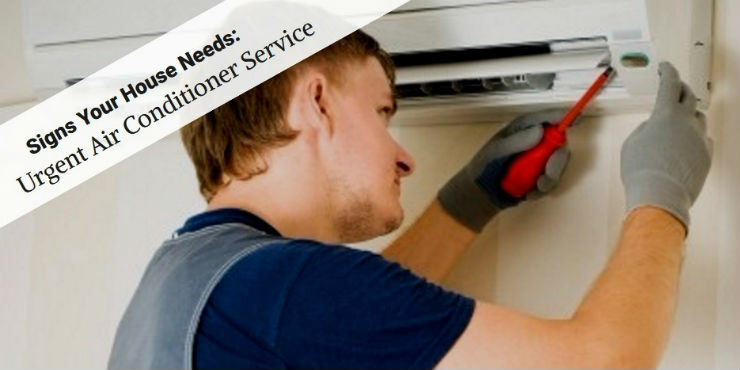 If you haven’t been the best about keeping up with regular cleanings or repairs, here are some tell-tale signs your A/C unit needs servicing. Your air conditioner’s main job is to pump cool air throughout your home. If some rooms are warmer than others, or the house isn’t cooling at all, the culprit could be poor air flow. Inconsistent cooling in some rooms could be due to issues with the vents and ductwork improperly directing the air. Large obstructions in the system could also prevent the air from getting where it needs to go. The easiest solution to this problem is regular and thorough cleaning of the A/C vents. Even if your air conditioner is pushing out air at full strength, it may not be as cold as you’d like. There are an array of potential issues that may lead to inadequate cooling, including problems with your thermostat’s temperature control, a broken compressor or low refrigerant levels. In each case, you’ll need a professional technician to examine the system, correctly diagnose the problem and perform the necessary repairs. of pollen, mold and other pollutants that can cause significant health issues for residents, especially individuals with preexisting conditions. Regularly replacing your filter is the best way to ensure optimal indoor air quality, but if your system is no longer properly filtering contaminants it might be time for a new air conditioning unit. Your air conditioning unit should never be leaking water. An increase in humidity or unexpected moisture should be investigated immediately. Best-case scenario, the leak is due to water from the condensing unit accumulating and dripping outside the drain tube. In the most serious cases, the dripping fluid could be refrigerant liquid. Refrigerant leaks are a serious health risk and should be immediately repaired by a HVAC professional. Ferro Fuel Oil offers annual tune-up service to ensure your air conditioning unit is always operating at peak efficiency. Your home is unique, which is why we manufacture and install custom ductwork and central air conditioning systems. We’ll also make sure your existing systems are functioning efficiently, so you can relax and enjoy your home in year-round comfort. Contact us today for more information!